Contact: Davon Scott | 716 Rossanley Dr.
he Evolution line by American company TARA Labs stirred the audio-cable world, also in Poland. Reviewed by me in my reference system, and then assessed by the members of the Cracow Sonic Society, left an unforgettable impression, which led to awarding it with the 2016 Statement Award from "High Fidelity" - the highest distinction we offer. Far from the stereotypical "neutrality" allegedly to be featured by top-high-end products, they presented the world of recorded music at its best. The word that was repeated most often during the listening session was "beautiful". Not every system will be suited best with such a sonic character and not every listener needs it. But those for whom this is the only possible direction, were very, very happy. In order to take advantage of knowledge obtained when developing Evolution and even more expensive Master Evolution lines, Tara Labs has prepared the Muse series that is less expensive than Evolution but more costly than 0.3. It's not a coincident that the name TARA Labs is spelled with capital letters – it is an acronym for: The Absolute Reference Audio. Currently company's headquarters are located in Medford, Oregon, and the firm is run by Mr Merrill Bergs. It was founded in 1984 by Matthew Bond, theoretical physicist and electronic. He built his first cables already back in the 1970s to improve the performance of his own audio system. The first commercial product with TARA Labs logo was the Phase II cable. Throughout its whole history, TARA Labs has always used their own solutions. For example, solid-core wiring was used from the beginning. In 1990, the first "floating" cable was presented, ie with a shielding that was connected only on one side. Soon after, the cables received “boxes”, that allowed user to decide on high-frequency energy - their "descendants" are HFX stations. Two years later, solid-core rectangular cross-section cables were introduced, which were renamed RSC - Rectangular Solid-Core. In 1999, company presented the Zero interconnected, that as dielectric featured vacuum instead of air (at least according to company's materials). In a world of audio cable articulations, high frequency extensions, low capacitance, and expansive sound staging, TARA Labs introduces a new cable series with a phenomenal characteristic. And all you need is just one word to describe it: MUSICALITY!!! They explain this decision with their knowledge of the expectations of music lovers. They divide them into two categories: “those who crave to hear every detail possible of the musical instruments playing. 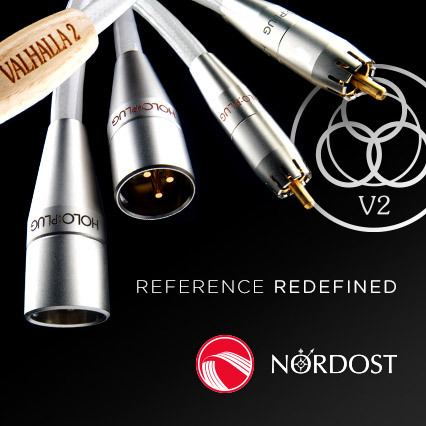 And those who want to close their eyes and imagine they are sitting right in the middle of a live orchestra, while the musicians play music around them.” However, they finish this statement with a conciliatory (as if this division was to actually divide fans): "The Muse Series audio cables offer an opportunity for an audiophile to have it all! 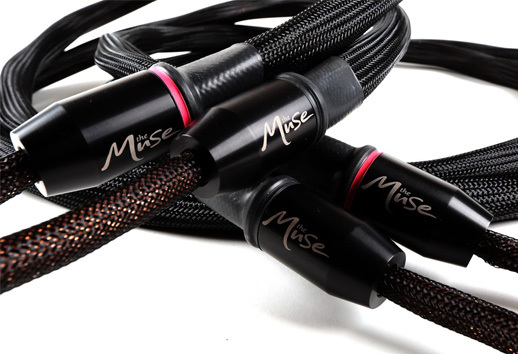 Muse cables offer audiophiles both these worlds." The construction of the Muse begins with the precise measuring, machining, and cutting of TARA labs proprietary materials. Beginning with our 99.999999% (8N) pure rectangular solid core copper conductors (RSC Gen2) that are super-annealed, oxygen–free, mono-crystal, and frequency-tuned. This is a rare case, except for the ultra-limited Acrolink series, of using copper of such extreme purity. For Acrolink conductors are made by Mitsubishi Materials Industries. The conductors are then hand-polished and coated in our proprietary liquid dielectric to prevent oxidation before inserting into PTFE Teflon lumen air tubes. The interconnects can be connected to an external floating ground "station" called HFX ("High Frequency eXtended"). It is very nicely finished. It's made of an aluminum block with powdered minerals placed inside - similar techniques are used by Acoustic Revive and Furutech. It aims to reduce RF noise. We connect the shields of the left and right interconnects to the "station" as well as the ground of the device which the cables are connected to. Muse interconnects are available as balanced (XLR) and unbalanced (RCA) cables. These cables are stiffer than the Evolution ultra-flexible cables. The speaker cables look like the top Evolution model, ie in each channel there are two separate runs - for the minus and the plus. They are finished with gold-plated copper BSM connectors, in which one may mount either bananas or spades. Each cable is made up of 72 separate wires. The large cross-section of cables does not result from the conductive material used in them, but from the efforts to minimize vibrations and their effect on conductors. In each run, three smaller cables were connected, twisted and covered with a black mesh. In fact, they look almost identical to the Omega model from the past. I reviewed Muse cables as a set. I compared them with two other sets: Siltech Triple Crown and Acoustic Revive Triple-C. I performed this test in two systems. In the first of them the interconnect connected Ancient Audio Lektor AIR V-edition CD Player's output with Ayon Audio Spheris III preamplifier, and the speaker cable Soulution 710 (solid-state) with Harbeth M40.1. In the second system the same CD Player and speakers were connected using Muse with Kondo Overture II. 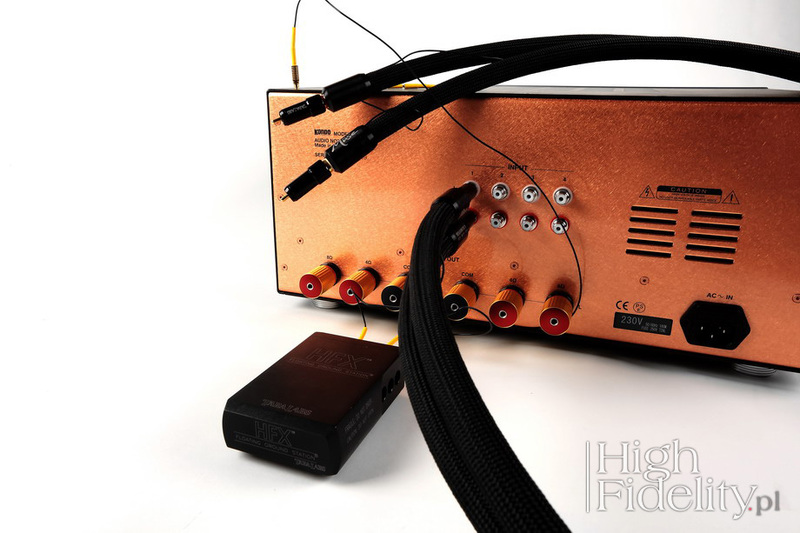 Additionally I tested the interconnect together with Ayon Audio HA-3 headphone amplifier, comparing it with Crystal Cable Absolute Dream. It was an A/B/A comparison with known A and B. It is remarkable how close the designers of the Muse cables got to what they achieved with Evolution series. At the same time, however, the sound we receive with the lower series is so different that, I am convinced, there will be the systems in which such performance will be better, more synergistic. How is it possible to achieve such effects when only a few variables are available, or how is it even possible to model the sound using parameters that are difficult to define and measure - I do not know, it's pure magic for me. But that's how experience and proper sense of what's right manifest.